So you think you’ve had enough of meat? Nooooope. Not until you head to Brotzeit for their platters. The Brotzeit Platter, a platter that “represents the Best of Brotzeit” is a platter that is guaranteed to meatify (I believe there’s no such word, but it’s alright.) your 5 senses including your tummy as well. 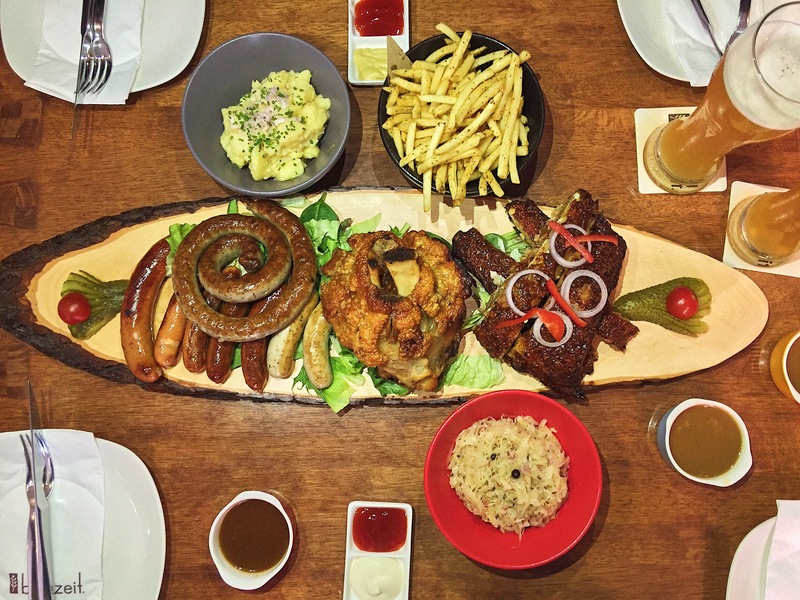 In the photo, from left to right, you have a variety of sausages which include grilled pork sausages, spicy chicken, cheese, thüringer (the spiral sausage) and garlic pork, followed by a crispy roasted pork knuckle, ending with honey Bavarian pork ribs. This platter (S$98) also comes with three side dishes: potato salad, fries and lastly my favourite, sauerkraut. The star of the platter is right smack in the middle: the pork knuckle. 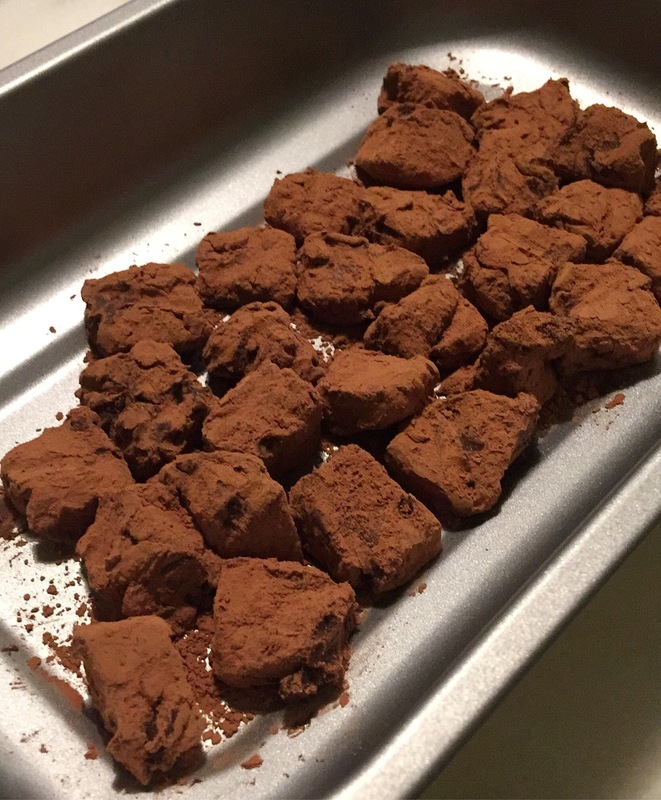 It is beautifully roasted with its crispy outer layer and a juicy interior. Cutting through the crispy skin is like music to my ears and it opens up into the tender meat. Dip it in some wholegrain mustard and indulge in savoury porky-ness. Some people might find the knuckle too oily because of all the fats. It is normal to fill “gelat” or feel uncomfortable with that amount of fats. That’s what the sauerkraut is for! It helps to cleanse your palate and allows you to continue eating (it works for me). However, the pork ribs were just above average. It did not have the “WOW” factor i.e. falling off the bone, extremely tender. The seasoning was alright, but I felt that it did not penetrate the meat as how it should be. But the platter as a whole was pretty good! Take care to not drink too much beer at the start if not you WILL be full very quickly. I should have ordered the schnitzel instead of the ribs, but that is for another time! Follow signs for “Blk 99” and take buses 10/16/32. These buses will stop opposite 112 Katong. You can’t miss it! 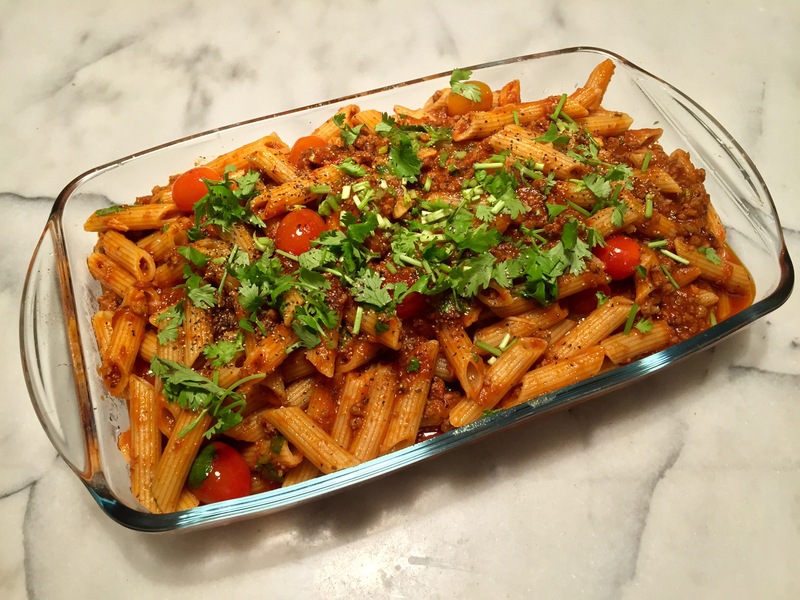 Penne Bolognese: In less than 30 minutes! In less than 30 minutes? Pasta bolognese? Yes it’s possible! The most important step before cooking is to prepare all your ingredients – “Mise en place”, a French term – which means “everything in its place”. You won’t have to worry about not preparing your vegetables, or taking meat out of the fridge. Yes, bolognese sauce can be done in less than 30 minutes. I would say it’s a little like Nigella Express. With the right ingredients and proper steps, you don’t have to slave over the stove for hours and hours. There are many variety of meat sauces but of course the authentic one comes straight from Italy. Italian chefs have shown the proper way and the original recipe for the bolognese sauce and I wouldn’t dare to offend them! My recipe is catered for convenience and families that would want a quick but really delicious meal. An important point to take note of when cooking minced beef, a tip I learnt from great chefs like Gordon Ramsay and Marco Pierre White, is to never put your mince in a cold pan. ALWAYS make sure your pan is really hot before adding your oil and adding the mince just before the oil starts to smoke. Also, try to use a deep-based pan for the mince. When you’ve done that, let the heat come back up and then start stirring the mince to break it up. Let all the water evaporate so that you can start searing/browning the meat. Once the meat is browned (take note of the crackling sound in the pan). Add the cumin powder, chilli powder and cayenne pepper. Season with salt and black pepper to taste and mix everything together. Add the finely chopped onions, crushed garlic, grated carrots, and continue mixing. Empty the bottle of tomato sauce as well as the tinned tomatoes, and also a can of freshly boiled water. After stirring for a couple of minutes, add the cherry tomatoes last. Simmer for about 10 minutes. By now, you should already have a pot of salted boiling water to prep your pasta. The cooking time should be approximately 2-3 minutes less than the instructions on the packet (I will explain later). Drain the pasta when done, not before saving a cup of pasta water, and pour it into the bolognese sauce. Mix well! When the pasta is cooked to your liking, al dente or more than that, serve it from the pan or in a glass dish. Garnish with sprigs of coriander leaves/cilantro and julienned chilli. A deep-based pan is important as you will be handling a substantial amount of liquid as well. For this recipe I used a wok as it IS deep and quite big as well. It is important to get it really hot as you don’t want to boil the meat. You want to caramelize the meat – gives it extra flavour. Pasta choice is entirely up to you. I chose penne because the meat sauce can get trapped inside the holes thus making every bite a pleasure! When cooking the pasta, you must know that there will be additional cooking time in the bolognese sauce. If the instructions on the packet says 11 minutes, and you cook it for that long, your pasta will be overcooked and might turn soggy. That is why you cook it 2-3 minutes less than the original so the pasta will be just nice when the dish is completed. It is also not a crime to use pre-made sauces from the supermarket. They add so much flavour within a short time. However, to balance it out, I add a can of tinned tomatoes, some water, and occasionally a teaspoon of sugar to make it gentler on the palate. In this recipe, I have added 2-3 pieces of finely chopped anchovies as it gives the dish a greater depth. People might hate anchovies, but after chopping them and simmering, they just melt away, leaving no trace. At. All. Give this a try, and I would really, really appreciate any comments! 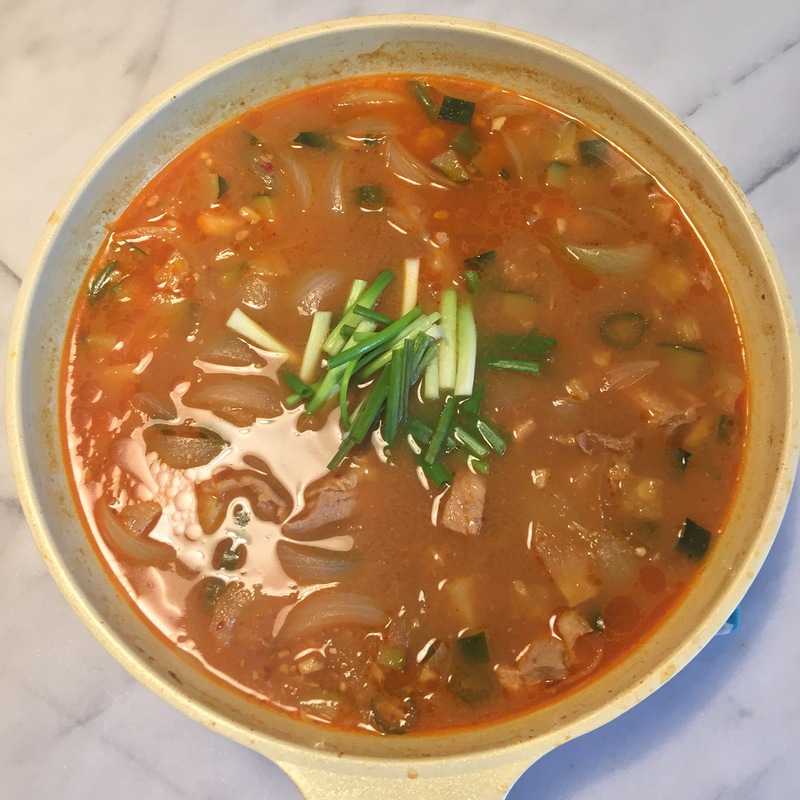 Comments about the recipes, food, or even ways to improve my blog!